I am a certified ERYT meaning experienced yoga teacher, as well as a certified Prenatal yoga teacher (ERYT 500, RPYT). Yoga has inspired my life's journey for the most part of my adult life and has been my calling since 2005. In 2015. I started studying body oriented integrative psychotherapy with Siegmar and Cornelia Gerken (Core Evolution, Core Soma), two wonderful people and teachers, and I now have a diploma in integrative body-oriented psychotherapy. I have been a yoga student for almost two decades, yoga teacher since 2005., teacher trainer since 2010. I have a yoga studio in Zagreb, Croatia but teach workshops, retreats and teacher training courses internationally. I am also a photographer and graphic designer. I love to write, love to create. Sagittarius of Pitta constitution born in the year of the Snake - feisty and a rebel with a cause. Travel is my passion; meeting new people, exploring new lands and enjoying new experiences makes my heart full. I love to move, I enjoy change. I love surfing, sailing, motorcycles, tattoos. I love my dog Seeta, my family, friends, my students. I love LIFE. I am a truth seeker and believer in magic. I believe in practicing compassion, tolerance and living from the heart - this is my most important daily yoga practice. My yoga journey started in 1998. when I moved to London to live and study. A dear friend introduced me to Ashtanga yoga and to my fist teacher Gingi Lee who later inspired me to become a teacher. Ashtanga became my daily practice and a big part of my life. I also practiced with Hamish Hendry, who was than one of a few certified Ashtanga teachers in Europe. Soon after leaving London I had the opportunity to spend some time in the USA where I continued practicing Ashtanga and further explored different yoga styles like Vinyasa flow, Power yoga, Anusara, Viniyoga, Forrest yoga and Yogic Arts etc. I attended workshops, yoga conferences and teacher training courses with teachers like David Swenson, Shiva Rea, Baron Baptiste, Brian Kest, Ana Forrest, Duncan Wong, Seane Corn, Gary Kraftsaw and many others. In 2005. I moved to Miami and enrolled in a 200 hour teacher training in "Miami yoga shala". 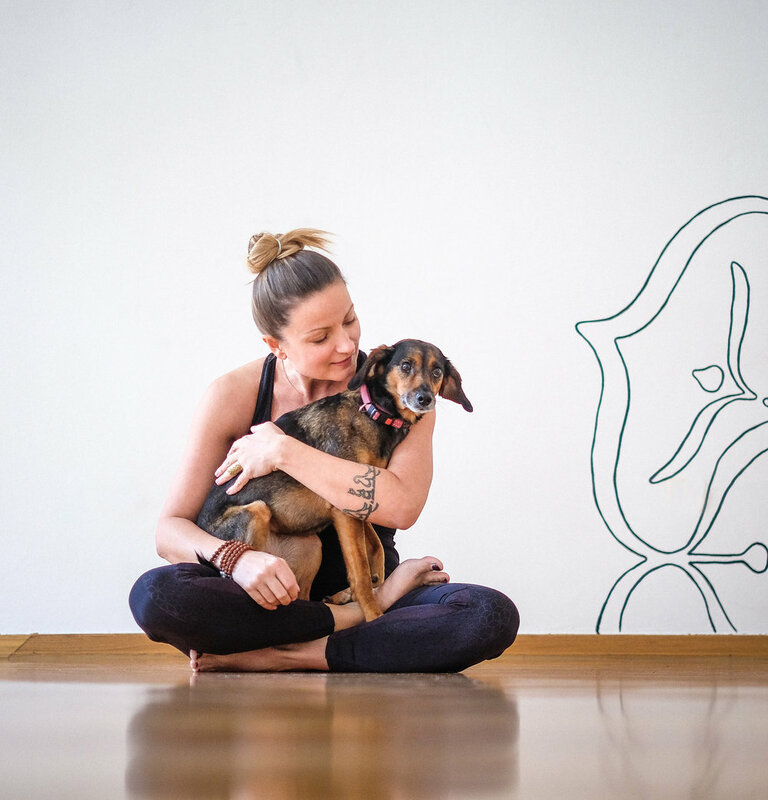 I continued my education trough different workshops and teacher trainings and discovered that Vinyasa flow is the practice that my body and soul felt most connected to. I met my core Vinyasa teacher Shiva Rea at Omega conference and fell in love with her Prana flow system, so enrolled in 300 hour Prana flow teacher training and later got to assist Shiva in teacher training which were such a great learning experience. In 2006. I moved back to Zagreb and founded Sangha yoga studio where, with great love and joy I taught until 2019. when I decided to close the studio and follow my heart. In 2011. I founded Spanda Vinyasa Yoga School and its 200, 300 hour and Prenatal yoga YA certified training courses. I have developed my own Vinyasa flow method and sequences I call Integral Vinyasa yoga, based on many years of practice, studying and teaching, and this is what I mostly teach today on teacher training courses in Zagreb, Milano, Sri Lanka and Portugal.